At the time, Cook wasn’t expressing a belief in the transience of all material things, but addressing the company’s mobile payment solution, Apple Pay, which has “an extraordinary future ahead of it,” according to Cook. “Mobile payments have taken off slower than I personally would have thought if I were sitting here a few years ago,” said a silver-haired, surely taught-skinned Cook, before remarking that he would like to outlast the usefulness of cash. While Apple Pay has reportedly failed to catch on with the majority of iPhone owners—as humanity does not desperately require yet another way to pay for things—Cook nevertheless expressed his desires to surpass the lifespan of tree-based fiat money. 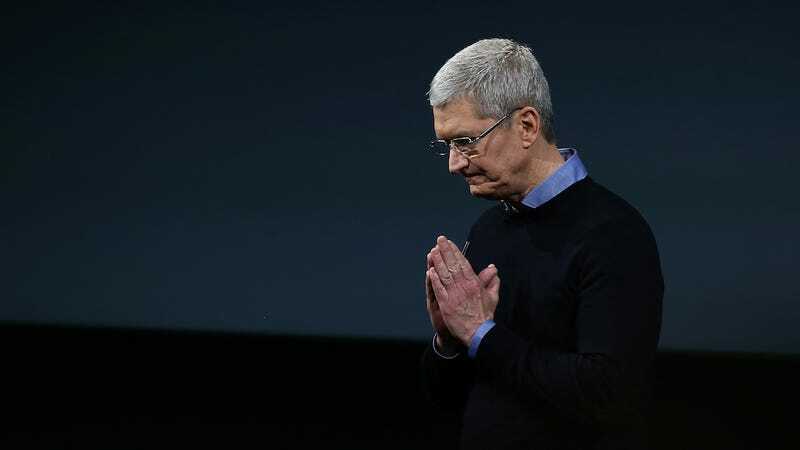 Opining on money and death and the iPhone X’s 99 percent customer satisfaction rate, Cook seems to aspire to see Apple’s service play a hand in the dollar bill’s demise, and indeed all forms of cash and coin, before departing to that great, big, evergreen oak-lined spaceship campus in the sky.